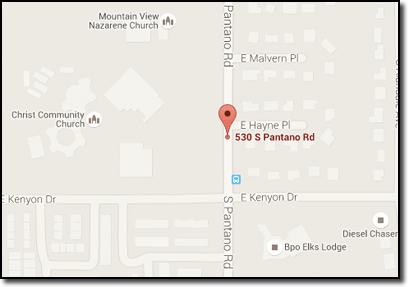 Kenyon Dr. is approximately 1/2 mile south of Broadway and 1/2 mile north of 22nd Street. 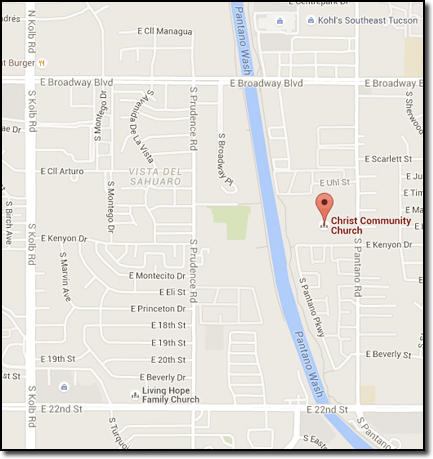 Pantano is 1 mile east of Kolb and 1 mile west of Camino Seco, between Prudence and Sarnoff. The entrance is off of Pantano & Kenyon. Turn west onto Kenyon to access Christ Community Church's parking.